Without a stamp collecting price guide, you will never know if that stamp sitting in the palm of your hand is the next million dollar stamp. But how do you know which price guide will give you the most accurate information? The truth is, no single price guide will be perfect in every circumstance. 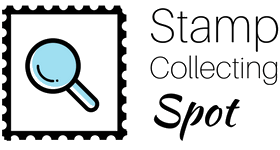 Here I list reviews and uses of the best stamp collecting price guides. I will start with printed price guides. These guides, or stamp catalogs, all give a unique “catalog number” to every stamp, along with an estimated market value for each stamp. Depending on the focus of your collection, some catalogs are better than others. Read on to find out which one is the most suitable for your needs. The Scott stamp catalogs are great because they contain information on just about every single stamp ever issued in the world. This means that pretty much any stamp(s) that you own are listed in a Scott catalog. Scott Publishing Co also produces 2 more volumes. Scott Specialized Catalogue of United States stamps & Covers – This catalog goes into far more detail on United States stamps than volume 1. It is definitely a must-have for the serious collector of United States philately. Scott Classic Specialized Catalogue: Stamps and Covers of the World – This catalog is limited to stamps and covers that were produced between 1840-1940 or for the British Commonwealth nations to 1952. It covers all postage stamp producing nations in one volume for those years. Although Scott catalogs have listings and values for stamps from all over the world, there are some other great catalogs for worldwide stamps. 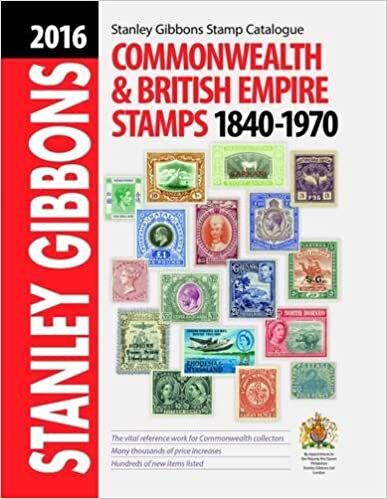 Like the Scott catalogues, the Stanley Gibbons catalogues cover just about every stamp issued in the world. There are numerous volumes of SG (Stanley Gibbons) catalogues. Some of them cover only one country, many cover several countries. Still others go even more specific, such as focusing on topical collections. There are too many SG catalog volumes to list here, so I’ll give you a link to the Stanley Gibbons catalogue Wikipedia page if you’d like to see more. If you are a worldwide stamp collector, both Scott and Stanley Gibbons catalogs will work fine. Some collectors like one over the other, so I’d suggest researching both catalogs before purchasing them. I just want you to know that there are so many stamp catalogs out there. Scott and Stanley Gibbons are simply the most widely used. If you focus on collecting stamps from a particular country, I’d recommend picking up a specialized catalog for that country. These are generally far more comprehensive and informative than regular worldwide catalogs like SG and Scott. There are a few websites I’d like to discuss that basically work like stamp catalogs. They show an image of a stamp (most of the time), and give the stamp’s approximate value. Unfortunately none of these websites provide values for foreign stamps. But if you are a collector of United States stamps, you’re in luck. The Swedish Tiger – A comprehensive website, with an excellent and very detailed stamp identifier/price guide. What you do is click on an image that matches your stamp, and it will tell you all the details you need to know about it. The stamp identifier goes up to 1960, so if you’re trying to identify/value a more modern stamp, I suggest looking into a stamp catalog or using eBay (discussed below). Of the four stamp price guide websites I list here, this one is definitely the best. Hobbizine – This is a good website, with a fine stamp price guide. It contains pictures for almost all of the stamps, and values that are very similar to the values you’d find in a stamp catalog. The only “faults” with the price guide are 1) it does not reference catalog numbers, which definitely does NOT make it beginner friendly, 2) it will be difficult to use if you don’t know the year a stamp was issued, and 3) it goes up to 1981, so current issues are not covered. PSE Price Guide – This price guide is definitely one of the most accurate, and provides several different prices for each stamp, depending on the stamp’s grade (centering). The downside to this price guide is that there are no pictures included. If you are a knowledgeable collector, this actually shouldn’t be a problem. Another possible downside is that it only covers older stamps. Overall, this price guide is aimed for the advanced collector, and isn’t all that beginner-friendly. 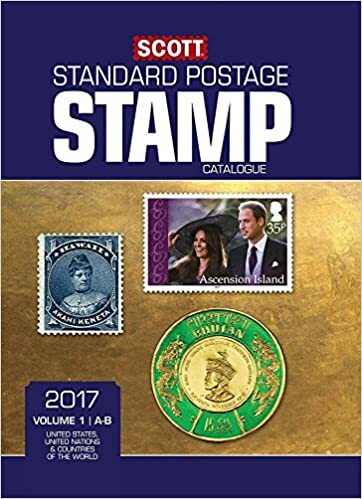 Stamp Catalogue – OK website, with some good information on stamp collecting. I found their stamp price guide to be quite bad though. It’s a bit hard to navigate, especially if I was uncertain of the year a stamp was issued. Many of the pictures are low quality, and some stamps don’t even have a picture. They don’t use catalog numbers, which makes it very difficult to use if you are a beginner. Also, the values they give for certain stamps are way off, and they only give values for some of the stamps! To top it off, they have sections for stamps up until 2008, but end with 2001!? Of the four price guide websites listed, this is my least favorite. I have to say, for finding your stamps’ value, price guide websites probably aren’t your best option. They are limited, focusing on United States stamps, and you won’t get as much information as you would from a catalog. The stamp values they give are also not that accurate (with the exception of The Swedish Tiger and PSE’s Price Guide which are both quite accurate). They also aren’t updated very often. I would recommend using a catalog or eBay to find your stamp’s value over a price guide website. This is hands down the most accurate way to determine a stamp’s value. It is always up to date, and has stamps from all over the world, not just the United States, making it the ideal stamp collecting price guide. Here’s how you find your stamp’s value using eBay, broken down into easy-to-follow steps. Step one: Go to the Stamps category on eBay. Step two: On the left hand sidebar, you’ll see something that says “Shop By Category”. Under that, you’ll see a list of categories. Click the right one for your stamp. For example, if you have a Canadian stamp, you’d click on the Canadian Stamps link. Step three: In the search bar, type in the catalog number of your stamp. And then hit the blue Search button of course. Step four: Keeping your eyes on the left hand sidebar, scroll down until you see a link called “Sold listings”. Click it. Step five: Scroll through the sold listings until you find a stamp that most resembles yours. If your stamp is used, search for a used one that has the same, or nearly the same condition and centering. If yours is mint, do the same except compare it with a mint stamp. How much did the stamp sell for? Take that price, deduct about 20% (the seller had to pay eBay and possibly PayPal fees), and you’ve got the current market value for your stamp. This system is not perfect. Sometimes the same stamp sells for $50, then when up for sale again, will only sell for $25. Or vice versa. Stamp price guides, whether they be catalogs, price guide websites, or eBay, are only good for getting a rough idea of what your stamps are worth. Stamp values are not static. They change all the time. The bottom line is no price guide is perfect, or ever will be. A stamp is worth what someone is willing to pay for it – no more, no less. Well, I hope you’ve found this guide helpful and beneficial to your stamp collecting endeavors. If you have any questions, or just wanted to add your two cents, please leave a comment below. I’d love to hear from you!